The start of each year comes and we all make some sort of New Years’ Resolution. For some of us, that’s going on a diet to loose weight or get a little bit fitter but for others it’s to cut what we spend and top up our savings. In what can only be described as difficult financial circumstances for many over the last few years, many of us have found it difficult to put even a small amount of our monthly incomings to one side in a savings account however it’s important to try and save as much as possible and planning for the future and for retirement is something which should be high up on the agenda of all families. With that in mind, we’ve decided to take a look at a number of top tips for topping up your savings this year, having been inspired by a recent post published by Blackpool based independent financial advisers, Questa Chartered. Make a decision that you’re going to save each month and sit down and decide how much is affordable. Take into account your monthly outgoings and think on how much you could potentially save without leaving you with absolutely nothing at the end of the month. Saving is all about getting in the right mindset so if you make a commitment (and set this in stone by setting up a standing order to put the money into a savings account on pay day), you’ll find it far easier to get in the swing of things and won’t miss the money you put aside. 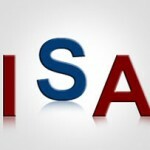 If you haven’t already got one, open an ISA. The benefits of opening an ISA as opposed to a regular savings account are that you’ll receive a tax free allowance each year. For the current year, this allowance is £11,520 of which £5,760 can be in cash. A new tax year starts on the 6th April each year so if you’re thinking about setting up an ISA, do so as soon as possible to make the most of this years’ allowance. 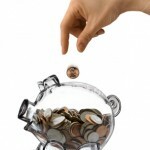 You can’t carry over unused allowances so it makes sense to use this before any other savings accounts where possible. If you’ve not got the best possible rates on your mortgage and life cover, you could be paying out more than you need to be each month. If you could reduce your outgoings in this way, you could easily put aside the difference without even noticing it’s not there. This is a fantastic way of potentially topping up your savings account each month without actually reducing the monthly balance in your bank account. 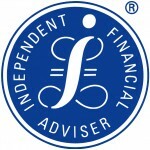 Why not find your local independent financial advisor using a site such as Unbiased.co.uk and make an appointment to go and see them. Alternatively, if you’re feeling confident at finding the best deal yourself, take a look at a site such as MoneySavingExpert.com to find the best current deal. Just like you can save by reducing your outgoings on your mortgage, you should also take a look at how much you’re paying on your utility bills each month. Switching to a new energy provider or changing to a fixed price tariff could see you able to put aside that little bit more each month which, in the long run, you’ll be grateful of. 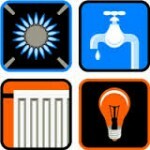 For the time it takes to compare the best utility deals on a site such as MoneySupermarket, it’s well worth doing and even if you find you’re already getting the best deal out there, it won’t take you long to double check and be sure. All in all, it’s important that you take saving seriously and, whatever age you’re at, start to plan for your future and think about putting a little bit aside each month. You shouldn’t need to make yourself struggle to save and by even putting £10 per week away, you’ll see yourself saving over £500 each year which really does add up. Over 10 years that’s £5,000 and over 25 years that’s £12,500, without any interest and fingers crossed, as you get into the habit of saving, you’ll hopefully be able to put aside a little more each week and month! Don’t forget to speak with your local independent financial adviser to ensure that your money is working for you and that you’re getting the very best interest rates. It may be worth looking at various investments as well, however everyones circumstances are different and it makes most sense to speak with your local adviser and see what they can suggest based on your individual situation. Jay is an avid blogger, currently writing on a wide range of topics ranging from home improvement and personal finance to travel and leisure!